Journey on around 290 km Southeast of Colombo and you’ll come into rich, expansive vegetation teeming with wildlife ranging from sloth bears to elephants and peacocks. 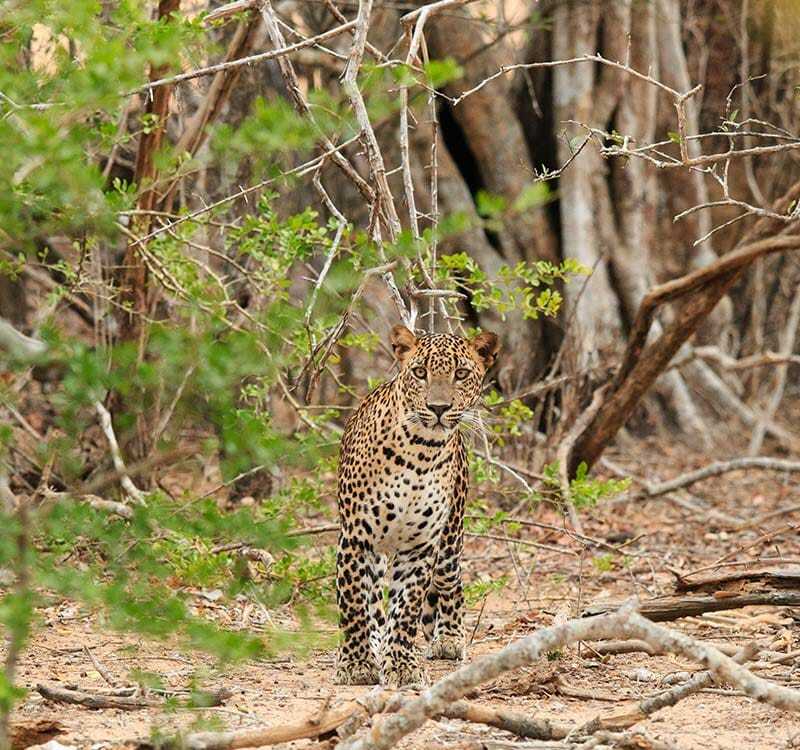 Welcome to Yala, every nature-lover’s paradise brimming with bio-diversity and home to the highest density of leopards in the world. A far cry from the concrete jungles the cities are known for, Yala provides a much needed sanctuary from the hustle and bustle of everyday life. It is best visited in the company of an experienced guide as the animals come out during specific times of the day which a visitor would not be familiar with. Adjoining this is the Bundala National Park, which is less visited although it shouldn’t be considering it has one of the most colourful agglomeration of birds swooping in from all corners of the globe to escape the harsh conditions of winter in their homelands. Trips to both Yala and Bundala are complete excursions in themselves and should therefore be well-planned out so you can be adequately rested to garner the maximum out of this experience. Amongst the hotels near Yala National Park, we have our luxurious Chena Huts – a truly one-of-a-kind accommodation option conveniently dotted in the heart of it all flagged on one side by the jungle, on the other side by the sea and with it a variety of wildlife to be enjoyed to your heart’s content! A snack and a drink by a scenic irrigation tank or another quiet spot chosen by your ranger. The Yala National Park (Yala Block 1) will be closed from 1 September to 15 October due to the development of infrastructure, as well as to allow the flora and fauna to flourish in their natural habitat without interference. Duration: Reach Galge (entrances for blocks 3,4 and 5 are from this location) 12 noon. Drive into the relevant block and stop for a packed lunch. Relax by a river or tank in a cool shady spot where interesting wildlife come down to the water. 3.30 pm Start of on the evening game drive. Stop at the beach inside the park for some snacks and drinks. Bush walks are conducted at dawn and dusk. Where: In close proximity to the hotel. Around the lake and along the beach. Please arrange your safari game drive at the time of making the booking to avoid any availability issues.